Are you planning to bring a new cat home? Then you and your family must be pretty excited and eager to be introduced to the new furry member of your household. We are writing this to come to your help through the form of some basic tips which you can use to make the transition period easier for everyone involved. Regardless of where your future cat is coming from – breeder, shelter or rescue – you can use the following pointers to make sure that everything goes as planned. You should read along especially if you are bringing a new cat home to another cat. 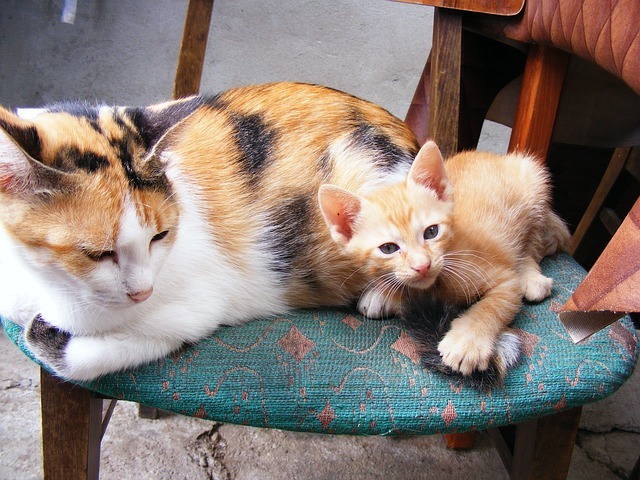 First and foremost, if you already have a feline friend, then you must make sure that there will be harmony between the newcomer and the current resident. That is exactly why you have to pick a pet that will be the best possible fit for your lifestyle and household. Just like us, all cats are individuals, so there will be some that can adjust better to your environment rather than others. Those looking to add a new friend to their litter might want to look for cats who previously lived with other cats in the past. That is because they will be more likely to accommodate with your current friends than those cats who felt that they were like an only child. When looking for a new cat, try to remember what your cats like to do in your home. If they like to play a lot, then you would be best advised to look for another playful partner. However, if your cats like to bask in the sunlight almost the entire day, then you would be better off with a cat that shares a similar taste in activities. Last but not least, if you are currently in possession of a grumpy old cat, then you might avoid getting a young kitten since they might not get along very well. Let’s say that you already chose the future member of your family. Even if he or she comes with a full list of vaccinations updated to the day, you should still check with your vet to make sure that everything is okay. This should be a priority regardless of the place that your new cat comes from, especially if they don’t have a medical record. By checking with a vet, you won’t just make sure that your cat is okay, you can also ask any questions you have in mind regarding your new addition to your life. If you managed to adopt the new cat and she seems to get along pretty good to the other cats, you shouldn’t relax. It is always possible for some problems to show their ugly head. Since cats can be pretty territorial, you should create separate areas for the new ones, at least until they fully accommodate to the new environment. These new ‘territories’ should be properly equipped with water, food, a litter box, comfortable places to rest, sunlight and, why not, a scratching post. Doing this might make your other little furry friends a little bit jealous — that’s why you should do the same for them as well. Let’s say that this new cat will be the first ever for you. Your life will be much easier if you spend the time to make sure that your home is safe for cats before you actually bring one to be your newest flat-mate. Those unfamiliar with cats will most likely be surprised with the places they can go to hide or the amount of trouble that they can get into. Cat-proofing must be a priority for you, just like a couple must prepare their home for the arrival of a baby. As we said before in regards to introducing a new cat to others, when you plan to adopt your first cat you have to allow her time and space to adjust. Even if you feel like your home is full of love and she will absolutely adore being there, most likely the little fuzzball won’t like to see it all at once. To avoid her becoming overwhelmed, you should set up a special room, like that extra bedroom or any room whatsoever that can be closed off for her to take her time and adjust to the new place. Make sure your home temperature is on par so that both of the cats are fully comfortable. Perhaps you already know that cats produce pheromones. They have special glands in their cheeks which make their own unique smell. You saw how your cat likes to rub her cheek against anything that might be to her liking, like a wall, your hand or a chair. These pheromones help her to relieve anxiety and they can also provide info regarding the animal that secretes them. You can take advantage of this piece of knowledge and use some towels which you can gently rub against your cat’s cheeks. Let the new cat smell the towel. Do the same with your new cat and let your old cat smell the towel. They’ll gradually adjust to each other’s scents. What to do if it doesn’t all go according to plan? If you see that any of your cats begins to show signs of aggressive behavior or stress, you should separate them as soon as possible and then reintroduce them slowly. You should allow them to be separated by doors so that they can get a whiff of each other. Once they are comfortable with this, you can bring them into the same room, on opposite sides. You can ask a friend to help by playing with one of them while you do the same with the other one. By repeatedly doing this, you can be sure that your cats will become friends sooner than you think. Hopefully, we managed to give you some guidance in acquiring a new cat and making sure that she will adjust in your home. Don’t forget to check with your vet and cat-proof your environment.